HypnoSlimming: Hypnosis for Weight Loss - Emotional Eating and How Hypnosis and Hypnotherapy can help you stop emotional eating. Emotional eating is when you feel a desire to eat foods not because you are hungry or for social reasons (like eating a slice of birthday cake) but due to emotional triggers such as anxiety, loneliness, depression or stress. How can hypnosis help with emotional overeating? Hypnosis and specifically HypnoSlimming uses techniques to interrupt the pattern between emotional triggers and the behaviour such as eating. For some emotional eating means a desire to eat a specific food whereas for others emotional eating means binge eating anything and everything. The approach looks at two key issues. Firstly what is causing the emotional trigger and asking if that is an appropriate emotional response to the situation of the client and secondly installing a more useful response or behaviour to the emotional trigger. I'll give specific examples for the most popular forms of emotional eating below. But please don't confuse emotional eating with an eating disorder. Eating disorders such as bulimia and anorexia and very different from emotional eating. Certain terms such as binge eating disorder imply that binge eating is similar to anorexia or other eating disorders but my personal opinion is that binge eating is either a result of cravings, addictions or an emotional trigger and not an eating disorder in itself. So what are the most popular types of emotional eating or emotional causes of overeating? 1. Is anxiety the most common form of emotional eating? In my experience - yes! Many people will use food as a way to deal with anxiety. Eating food changes the physiology so that it acts as a temporary way to alter the sensations of anxiety or how these feelings are interpreted. Most people feel anxious in their gut, they feel the sensation of anxiety actually in their stomach. Serious anxiety may cause rapid breathing or an increased heart rate that they feel in their chest but mild anxiety is usually felt in the stomach. Eating food does two key things. Firstly it creates a different sensation in the stomach which makes people feel less anxious. The second effect it has relates to focus. While you are eating food you are no longer focused on the feelings of anxiety. In a HypnoSlimming session we can deal with emotional eating that specifically links to anxiety by using various techniques. One of the techniques is to collapse the anchor that links anxiety to eating. Every human gets anxious under certain circumstances but not every person start binge eating chocolate or ice cream when they are anxious. What if anxiety triggered a different response such as drinking water, going for a walk or evaluating the reason for your anxiety and taking steps to resolve the issue? Emotional eating from anxiety can often create more anxiety as eating the food acts as a distraction rather than addressing or resolving the cause of the anxiety. 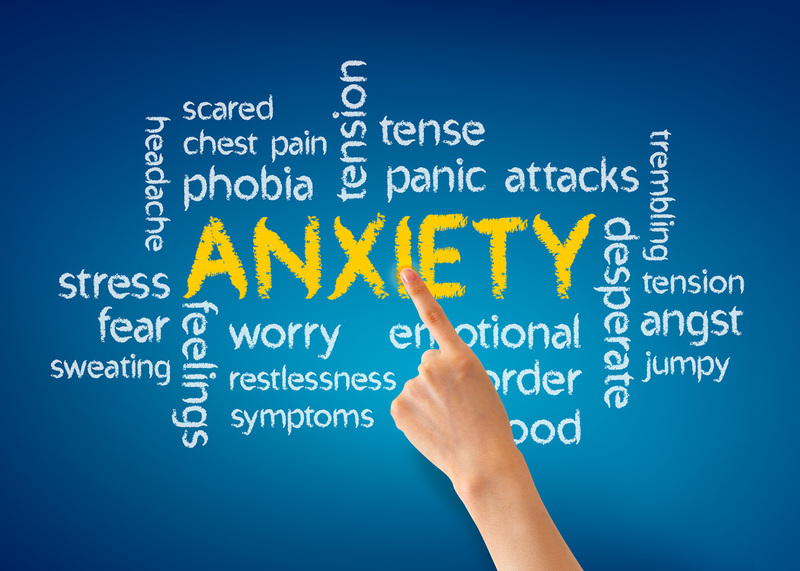 For details about how HypnoSlimming can help you if your anxiety is causing emotional eating please click here. 2. Does Boredom Cause emotional overeating? 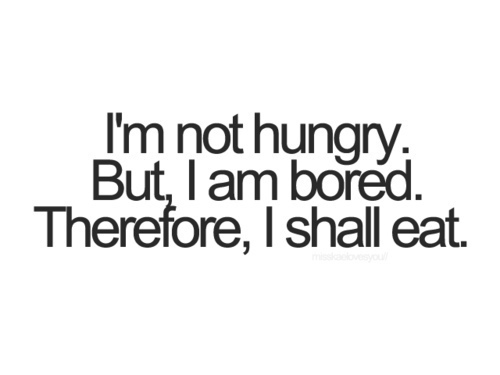 ​Many people will eat out of boredom! Think of it this way, have you ever been working to a tight deadline or been completely immersed in a project or job that needed to be done and just forgot to eat? Most of us have had this experience before, even if it's been only once or twice. Think about the alternative situation. Have you ever been visiting someone and you are unable to do the things that you would normally do and just find yourself overeating? It's not that you are hungry it's just that there is nothing else to do! The key to dealing with boredom as an emotional trigger for overeating is to realise that there is always things that you can do to stimulate yourself emotionally or intellectually. I have a few brain training apps on my phone so I can always avoid having nothing to do. Rather than situation or contextual boredom - when you're bored in specific places how would you deal with the issue of ongoing boredom. What if you are unemployed or have an injury or disability meaning you can't leave the house often? This could be a trigger for you to start setting yourself some exciting challenging goals. Maybe the goal is to update your CV or learn something new online. However if you're feeling bored right now then click here to learn more about HypnoSlimming works. 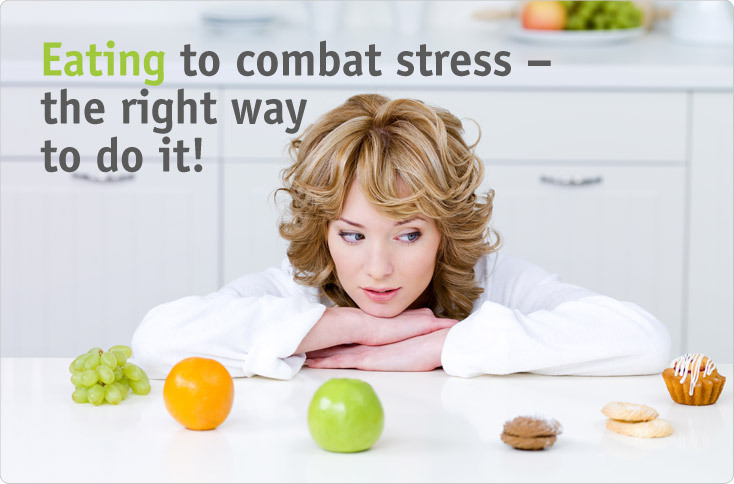 Stress is one of the growing trends of recent times. According to the Health and Safety Executive there were 440,000 cases of work related stress last year. Now people deal with stress in different ways but it's safe to say that many people will reach for food or drink when feeling stressed! Unfortunately for them the food they reach for is not fruit and the drink they reach for is not water. Surprisingly a recent study showed that stress is not deadly. Stress they discovered does not cause heart attacks or strokes. They did discover though that stress can cause some people to make lifestyle choices that are deadly. Things like overeating, drinking alcohol or smoking being the most common. As with all emotional eating HypnoSlimming looks at both the trigger and the response. Can the causes of stress be reduced or managed in a different way? Also, would it be useful to change your current behaviour when stressed with something else, something more useful? Changing a habit is easier to do while in a hypnotic trance as it's possible to make the changes at an unconscious level which can ensure the change happens more quickly and becomes automatic. Frustration can be a sign that you're close to a breakthrough or one step before you can no longer be bothered. Frustration can lead people to feel agitated or restless and many will pick at snacks while they feel this way. Occasional feelings of frustration are absolutely natural and a part of learning and living. Constantly feeling frustrated though can lead to anger management issues or health problems if you handle frustration by overeating or drinking. Take this test to see if frustration is a key part of your personality type. Unfortunately for many it is! We'll all heard the cliche of someone eating a whole tub of ice cream to 'get over' a breakup. When people feel sad or depressed it affects the neurotransmitters that are released. Food can stimulate alternative neurotransmitters and release those positive neurotransmitters into the body. I'm sure you've all heard that chocolate contains the feel good 'drug' serotonin. Is it any wonder that we try to medicate ourselves and use food to make us feel better? Anytime we change our state from negative to positive by using food we are at risk of creating an addictive association. This is because the trigger of food is rewarded by the change in chemicals released by the body. We are creating a Pavlov's dogs style of conditioned response to ourselves. While it's easy for a pattern like this to be created it's difficult for it to break in conventional ways. That's why HypnoSlimming uses cutting edge principles and techniques to change this damaging patterns quickly. Our mission is to help you achieve the body you want and to love the body you have. Our philosophy is Change Your Mind, Change Your Body.